While marketing may sometimes take a bad rap for manipulation, there is something very exciting about the brand experience, as well as our overall consumer culture. Much like guest at a dinner party, an interesting conversationalist may be most sought after, and often the best listener. The same could be said of brands and branding. 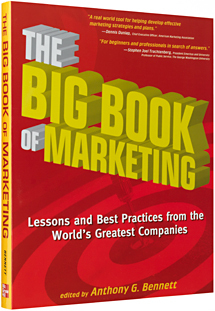 Kudos to Landor and Sarah Wealleans for the insight included in Chapter 4 of The Big Book of Marketing: Lessons and Best Practices from the World’s Greatest Companies, edited by Anthony G. Bennett (McGraw-Hill). Landor: Thinking: Articles: The essentials of branding.